Record Store Day 2019 is roughly a month away, and the organizers behind the annual event have released the list of exclusive vinyl records reaching independent record stores on this year’s date– Saturday, April 13. Among the artists involved this year are Greta Van Fleet, Green Day, Mastodon and members of the Red Hot Chili Peppers. 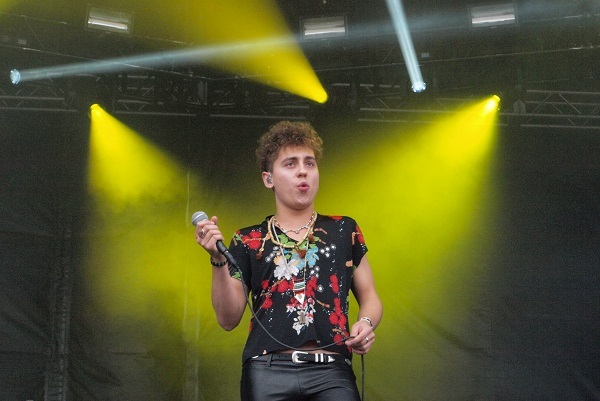 Greta Van Fleet will release their “From the Fires” album for the first time on vinyl for Record Store Day 2019. The record features their chart-topping rock hit, “Highway Tune,” and since these guys have a classic rock vibe, vinyl will be a good fit for their music. Green Day will offer their “Woodstock 1994 Live” album, a set recorded during the band’s wild set at the 1994 version of the music festival, as part of Record Store Day’s exclusives. Chad Smith and Josh Klinghoffer of Red Hot Chili Peppers will release a seven-inch vinyl single covering two T.Rex songs. Keeping with the covers theme, Mastodon will release a 10-inch vinyl single covering Led Zeppelin’s “Stairway to Heaven” to pay tribute to the group’s late manager, Nick John. Vinyl editors of Weezer’s “Teal Album” covers set, plus “Dusty Gems” and “Raw Nuggets” rarities compilations will also arrive on Record Store Day. For true turntable enthusiasts, Record Store Day is also unleashing a three-inch turntable that will play small three-inch records. The three-inch singles come courtesy of Foo Fighters, plus a range of of Jack White’s bands, including The White Stripes, The Raconteurs and The Dead Weather. Eddie Vedder and the guys of Pearl Jam have been tapped to be the 2019 Record Store Day Ambassadors. They’re also getting in on the vinyl release fun, releasing a vinyl edition of their live performance at Seattle’s Easy Street Records in 2005. Other artists and musicians appearing on the Record Store Day 2019 list include My Chemical Romance, The Struts, Beartooth, Gorillaz, Halestorm, Iggy Pop and Mumford & Sons. For the full list of releases and participating stores, visit RecordStoreDay.com.